Richard was born and raised in Leicester, a city well known for its sporting pedigree but less accustomed to outbreaks of severe weather. At primary school Richard was often found staring out of the window at puddles and wondering what makes it rain? When the national space centre opened in Leicester in 2001 Richard was among the first to try out the new weather forecasting green screen in the museum and recorded a short video forecast (sadly long since lost). A long-standing interest in meteorology and weather was already established and Richard went to Leeds University to study an integrated masters in Environmental Science with a focus on meteorology and atmospheric science. Richard went to Hamilton, Ontario to study for a year in the hope of finally glimpsing a severe winter, instead he experienced the mildest winter ever recorded in the state with only a handful of days with lying snow. Before his final year in Leeds, Richard had the opportunity to participate in a research flight onboard NERC’s BAE-146 aircraft. Flying through a cold front at 100 feet above the sea surface is both a stomach churning and exhilarating experience! Having failed to find cold weather conditions in Canada Richard headed to Norwich to start a PhD investigating ocean-atmosphere interactions in West Antarctica, which included some polar field work. The -15C air temperatures and 40 knot winds were far from ideal conditions in which to launch regular radiosondes from a rather cramped ship but it was another unforgettable experience. 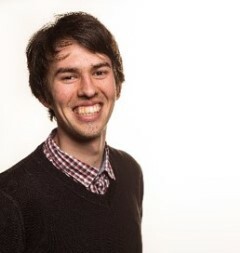 Having completed his PhD studies Richard joined the Weatherquest forecasting team in 2017. Outside of meteorology, Richard is a big sports fan. He is a keen runner and recently set a new personal best in the 2017 Norwich half marathon, he hopes to dip below the 1 hour 30 minute barrier in either 2018 or 2019. Richard also plays tennis and occasionally squash and is a keen follower of Leicester City football club – the 2015/16 premier league title win will live long in the memory!